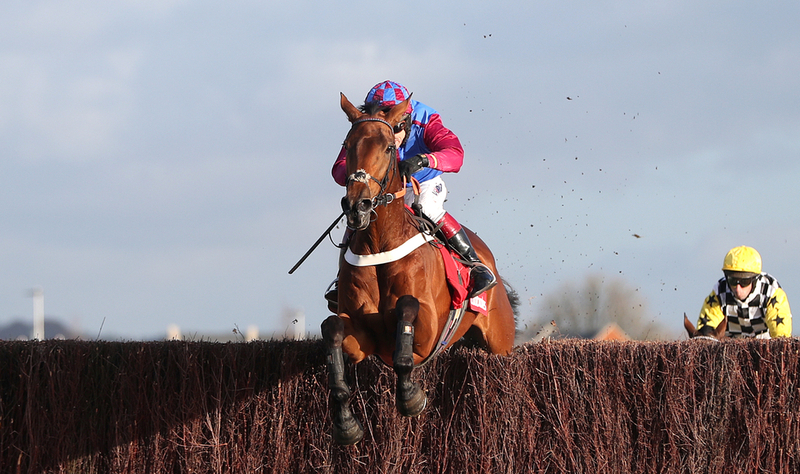 Unbeaten mare over fence, La Bague Au Roi for Warren Greatrex is set to put his record on the line when stepping up into Grade 1 company at Kempton over Christmas in the Kauto Star Novices Chase. The seven year old has made an excellent transition this season from last years hurdling exploits to now go over fences where she was very professional at the start of the season but when she stepped up to bigger and better races she struggled. Greatrex hopes this is not the case for her chasing career as she has been an emphatic winner of both her races over the bigger obstacles but at the end of the month is set to have the biggest test of her jumping career. (Credit At The Races) Greatrex said: “The plan is to head to Kempton on Boxing Day. I suppose win, lose or draw we will see where we are. “I think the track will suit her and we will learn a lot more after that whether she is up to that grade. “It looks like being a very hot race and almost as hot as the King George with the likes of Santini, Topofthegame and Count Meribel going there – they are a handful of the best novice chasers around this season. “Her ratings put her right up there and she will get a mares’ allowance, which will help, but she will have to be on top of her game to win. “She jumped very well last time and it was a drop back in trip, which didn’t bother her.